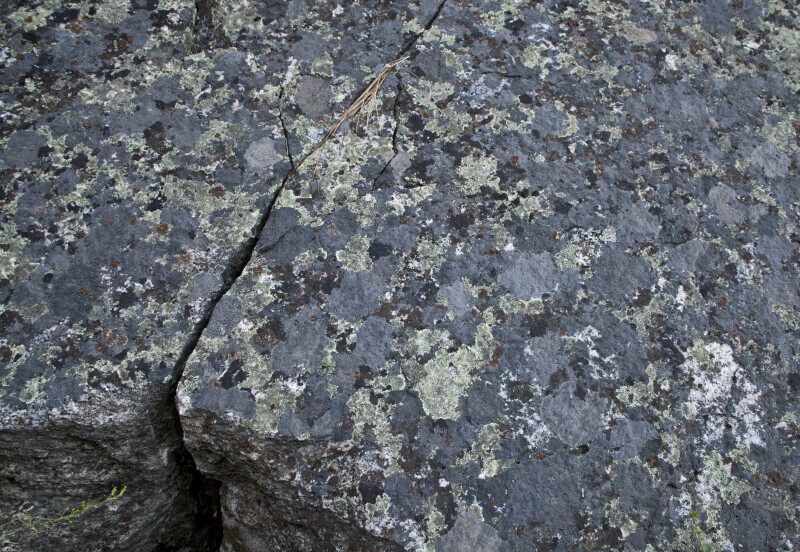 This rock is being colonized by lichen thalli. The rock has a crack in it, with a small crevice beneath the crack. The crack will continue to widen, due to the mechanical weathering process known as frost wedging.